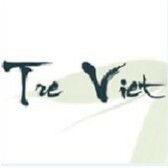 Tre Viet Restaurant joined our Mission to help provide access to “Clean Water for All by 2030”. This Mission was initiated by the United Nations. A big thank you to Tre Viet Restaurant’s team and customers for joining this extremely important mission on 28 December 2017. If you are looking for a healthy alternative to your usual diet, you can try eating at Tre Viet Restaurant. We specialize in authentic Vietnamese cuisine. We are known for our gluten free dishes such as Vegetarian Fried Rice, Vegetarian Spring Rolls, Poached Vegetables in Soya Sauce, Stir Fried Vegetables in Oyster Sauce, Stir Fried Chilli and Lemongrass Tofu, Tofu in Curry and Coconut Milk, Stir Fried Tofu with Vegetables and many more. We are located at 152-154 King St., Newtown NSW. You can now taste our healthy Vietnamese dishes while you are at home. Just click on the â€œOrder Onlineâ€? button to start placing your orders.